PMD Products 21pc Automotive Master Oxygen O2 Sensor and Sending Unit Socket Set Tool Auto Truck Car by PMD Products at Lazaranda Dallas. MPN: 2102. Hurry! Limited time offer. Offer valid only while supplies last. 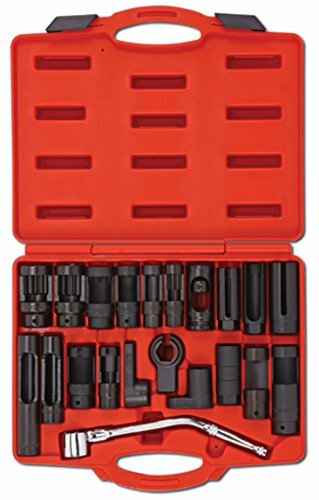 The 21pc sensor socket set comes in a formed molded case. FEATURES: 21 pcs OXYGEN SENSOR SOCKET SET CONTENTS INCLUDED: •17 x 80mmL (12PT): RENAULT.